Open data and megadata in Social Sciences: new challenges for the state and organization of knowledge? Jointly organized by the French Chapter of ISKO and the Lerass-Ceric research team from Université Paul-Valéry, Montpellier 3. 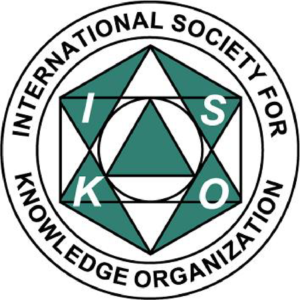 The question of the organization of knowledge has been a major concern of the French chapter of ISKO since it was created in 1996. That theme has been studied through organizational structures and technical mediation tools, as well as through forms and processes of knowledge sharing. The twelfth ISKO-France symposium will approach the organization, classification and management of knowledge by choosing massive data as an entry point. Some consider that the data explosion has created literal gold mines. Indeed, when processed and organized, the data does make it possible to evaluate sets of human activities present on the web. Since the advent of the social web, digital traces « [actually] form a particularly profitable ‘raw material’ […] » (Boullier, 2015). Reflections related to the openness, communication, appropriation and re-exploitation of data are transverse questioning for all the socioeconomic actors involved. Besides, no business sector is sheltered from this frenzy. Megadata is thus seen as the vector of a new digital revolution that impacts the socioeconomic and political development of today’s society: health, transportation, energy, innovation and marketing, or even public policies, for instance. New tools and methods of analysis are mustered to make the most of this data, but as the balance « between innovation and precaution » (Zolynski, 2015) is fragile, they bring along many new issues and challenges, including ethical ones. Megadata is now a central concern in the world of research, as evidenced by the amount of recent scientific publishing, books, journals and symposia on the subject. It becomes difficult to avoid this data phenomenon, whatever the theme or object of one’s research, since it also directly affects the practices of researchers. All science stakeholders are subjected to an increasing number of injunctions, as they must take into account all stages of the data life cycle, from its creation or collection, through its processing and preservation, and until its exploitation. The implementation of data management plans has become essential when looking for funding, in part because of the incentive to open research data. The issues related to these are therefore multiple and complex. Epistemological, philosophical and terminological approaches to massive data, especially as they change the field of information and documentation sciences and challenge its fundamental concepts. We could ponder whether massive data call into question the notions of information, data, and knowledge, or if contrarily, an historical perspective based on the works of the founding authors of the field could shed new light on massive data and its processing. Ethics and the legal framework relating to the collection and handling of data. Though it is technically possible to collect data quickly and massively, especially on the Internet, the ethical and legal framework for collecting such massive data remains blurry regarding the scope of the collection, the privacy requirements, or the data protection. Tools and methods for processing, analyzing data, and disseminating results. The change of scale implied in massive data analysis raises questions about tools and processing methods. Analyzing massive amount of data requires a choice of automated methods and tools that are most often unfamiliar to Social Science researchers. Though they make data processing easier, these tools do not always allow the subtlety expected in a Social Science analysis. Processes and systems for classifying and organizing knowledge may then evolve under the influence of data massification. Questions are also raised by the tools used to disseminate results. Data visualization, for instance, is currently in fashion to showcase data analysis results. This visual representation has the advantage of highlighting massive tendencies, but it tends to transform “large bodies of complex data into a synoptic and simple information”, thus simplifying the analysis results. Social and economic stakes of data, in particular as seen through its uses. For the business sector, exploiting megadata is a matter of commercial interest, while for public authorities it stems from political commitment to bring citizens and institutions closer together, unless it is understood as a steering tool to influence public policies. So researchers could question the way massive data is used, how the position of public institutions connects to the role of private enterprises for production, sharing, or appropriation of data, or ponder the challenging balance to be found between opening public data and protecting privacy. Additionally, new approaches could be analyzed, particularly in terms of social and socioeconomic implications. One could ask whether the mainstay or viewpoint from the economics of quality could offer references or notions affecting the value of quantity, and if and how the current distinction in Social Sciences between quantity and quality is brought into question under the influence of big data. The dissemination and exposure of data could be questioned as devices for publicizing science and scientific data on the web. It could also be an opportunity to focus on information and communication stakes in public, economic and scientific areas. Relationships between big data and symbolic productions and, on the scientific side, the questions and orientations relating to the creative industries. Between an acute knowledge of the art market operations and a factor of influence over those movements, what massive data allows shows new conditions for appraising, and even regulating, value. What new layouts are emerging in these sectors? Besides, whether as benchmark, witness, or use agent, data is also called upon in research on current art and contemporary art history, bringing in new materials to collect, sort and analyze. January 7th, 2019: Deadline of proposals (7,500 characters maximum, Word format) extended to 31st of January. Each proposal will be reviewed by at least two evaluators from the scientific committee, who will appraise its relevance, scientific validity, originality, and clarity of presentation. February 11th, 2019: notification of acceptance or refusal. Notification of acceptance will be sent, along with the technical specifications for publishing. Those will be mandatory for the publication of the acts. The authors may receive requests for changes to the texts. May 15th, 2019: deadline for receiving the full versions. Selected authors will send the complete texts of their papers. These texts must reach the program committee colloque2019@isko-france.asso.fr in their final form (Word format, 30,000 characters maximum). July 1st, 2019: return to the authors for potential modifications. August 20th, 2019: deadline for receiving the final versions. September 10th, 2019: deadline for registration at the symposium, for at least one of the authors. An accepted paper implies that at least one of its authors must attend the symposium to handle its presentation.